This Terminal Strip accepts 12 gauge wire & smaller. 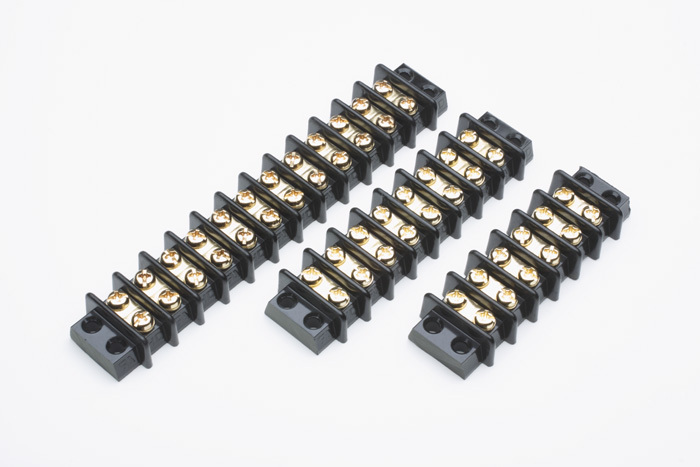 It is 20 amp rated with #6 terminal screws included and is great for gauges, radio and other low amp rated accessories. It is available in five different sizes: 2, 4, 6, 8, 12 gang. Terminal Block, Strip, Gang 12 / ea. Terminal Block, Strip, Gang 2 / ea. Terminal Block, Strip, Gang 4 / ea. Terminal Block, Strip, Gang 6 / ea. Terminal Block, Strip, Gang 8 / ea.